Straight like the masts of sailing ships, in the centre of Galicia were planted a large part of the trees which now form this forest, also called the “Carballeira de Quiroga”. The long beams needed for the construction of the Galician pazos and big houses necessitated long slender trees. Only the branches were pruned, the tops were never lopped so they grew straight up to the sky without the trunk thickening too much. The oaks and principally the chestnut trees grow to 30 metres in height and five in perimeter. Their elegant bearing has led to them being regarded as the best examples of hundred-year-old chestnut trees in Europe. They were planted at the beginning of the 19th century on the grounds of the pazo of the Quiroga family, related by marriage to Doña Emilia Pardo Bazán who spent time in the house and, it has even been said, wrote several chapters of the novel Los Pazos de Ulloa there. The walk through the woods is short and easy, but the density of the paths always provides us with pleasant surprises. For example, the tree trunks, blown over by the force of the gales, are used to count, ring by ring, the tree’s history for visitors. Even halfway through the last century the FAO, United Nations Organization for Agriculture and Food, had called for the protection of this forest. 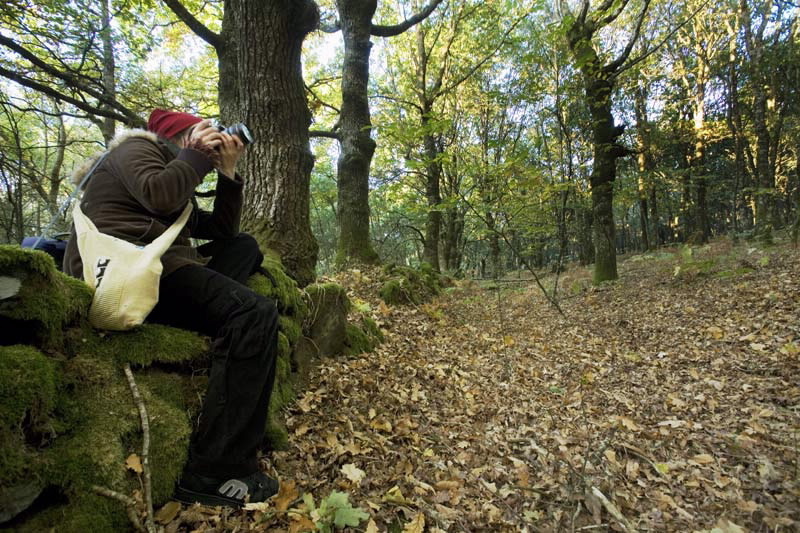 Today it is a 21st century Galician National Monument and forms part of the catalogue of Singular Trees of the region. Four kilometres from Lalín towards Ourense on the N-535 road. Quintela, in the municipality of Catasós, municipality of Lalín (Pontevedra). Accommodation and food in Lalín and nearby.